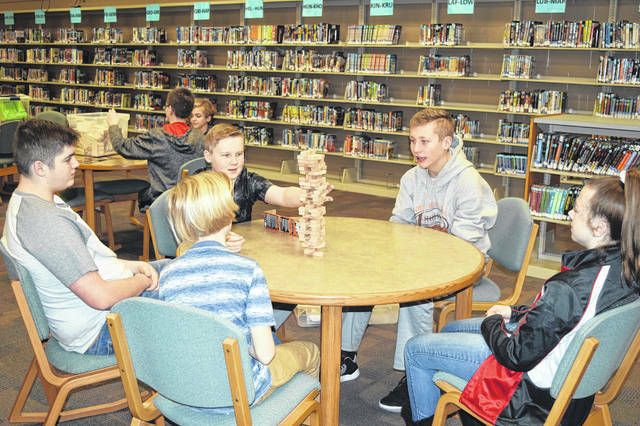 National Trail Local School District implemented a Maker’s Space in the library a year ago. Since then, it has been heavily utilized by the middle school, but also by elementary and high school classes. 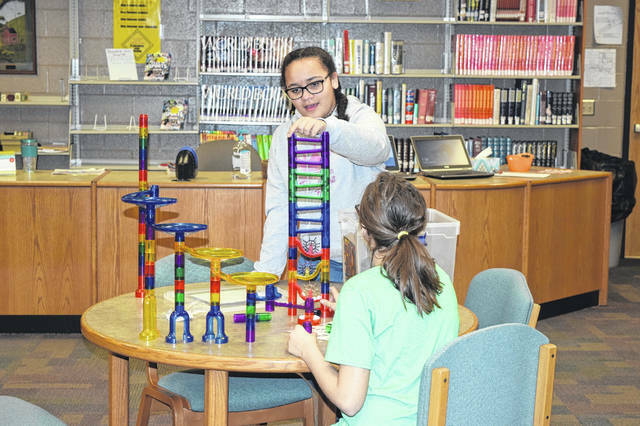 NEW PARIS — National Trail Local School District implemented a Maker’s Space in the library a year ago. Since then, it has been heavily utilized by the middle school, and used by elementary and high school classes as well. 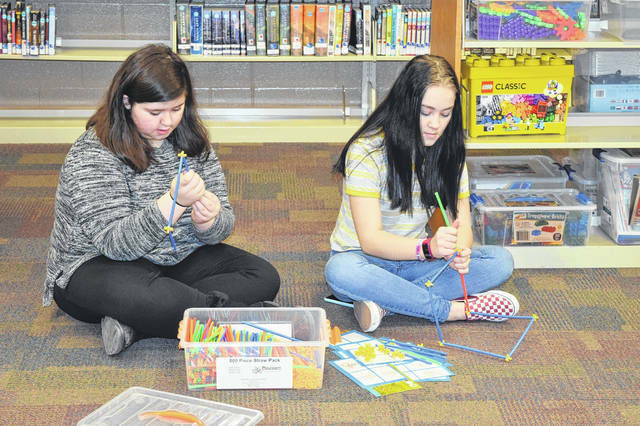 According to Library Media Specialist Kathy Eyer, officials wanted to bring a Maker’s Space to National Trail to encourage creativity and STEM learning. “We started the Maker’s Space with a grant from the National Trail School Foundation, budget monies, and scholastic dollars. It was something I had read about and started previously at Richmond Schools. When I came here, I thought this was a perfect place for it. There was a lot of support from the administration and teachers to do this,” she said. She added, she likes the Maker’s Space being in the library because it is the center of the school. She already has high school and middle school teachers planning to bring their students in this next week. While the Maker’s Space does focus on middle school, with the location of the library, all grades can be involved in the new space. According to Eyer, a similar space could be started for $500 or less, but she has invested thousands of dollars in National Trail’s space. She started small, but as monies became available, she added more to the space. The Maker’s Space is utilized by teachers throughout the school. 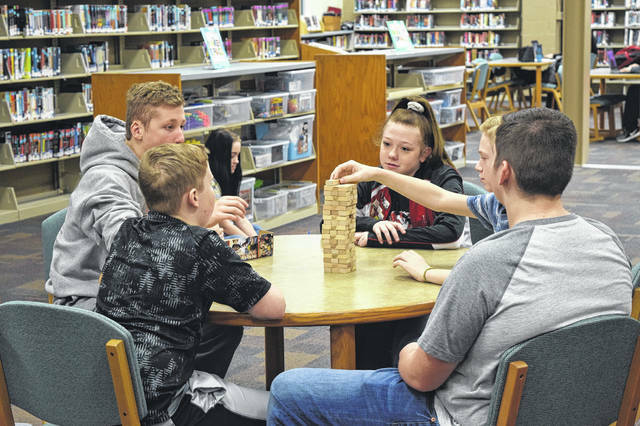 Seventh grade math teacher Tyler Trick brings his classes down to let them learn in different ways. “The Maker’s Space is pretty cool. It gets them working in different ways than they normally do. It is good for preparing them for the future. We don’t know what that looks like necessarily, but there is probably going to be technology there. What is cool about the Maker’s Space, is it is teaching the kids a couple of things. It is teaching them how to use that technology, but it is also teaching them some things about creativity and how to do things technology can’t teach them,” he said. For Eyer, the Maker’s Space is all about supporting students and their learning. “The Maker’s Space supports education. We are about literacy, obviously, but we also support science and technology. We support all of the subjects here. It is a beautiful combination of science, technology, literacy, math — it is all here. It is a way for libraries to move into the 21st century,” Eyer added. 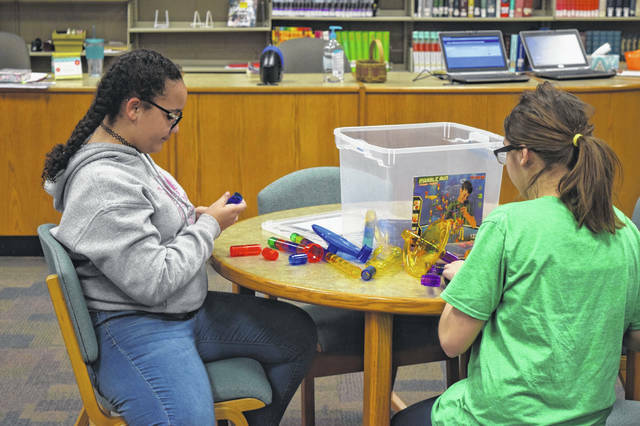 https://www.registerherald.com/wp-content/uploads/sites/41/2019/03/web1_MakerSpace4.jpgNational Trail Local School District implemented a Maker’s Space in the library a year ago. Since then, it has been heavily utilized by the middle school, but also by elementary and high school classes.